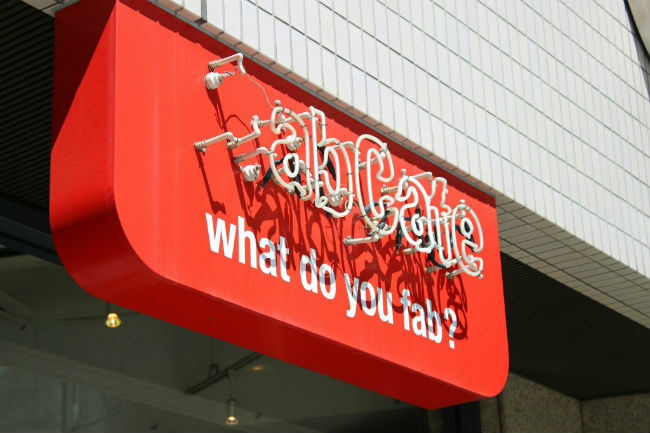 FabCafe in Tokyo: Your Experience is What You Make it! 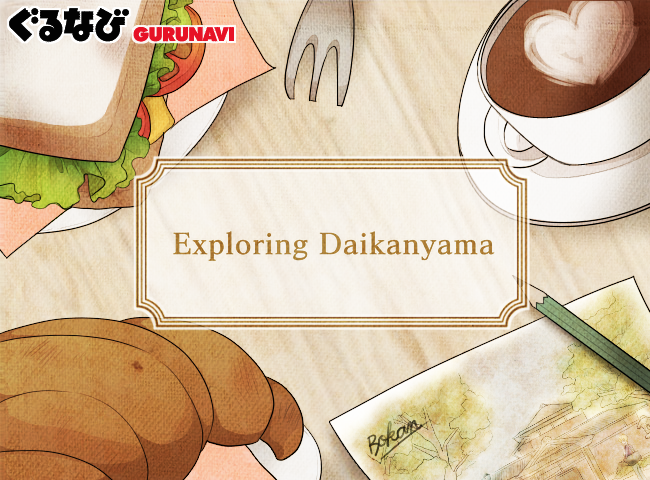 Cafes are spaces to eat good food, drink your favorite beverage, and talk—more and more, they are also places where people want to study and think, too. 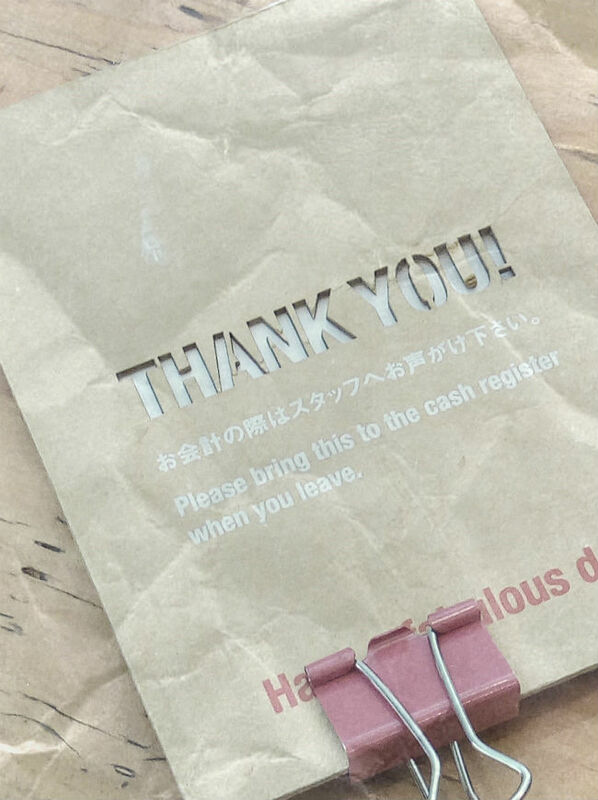 Unfortunately, many cafes in Tokyo—with their “no studying” signs and the pressure to drink and leave as soon as possible—often fail to live up to this last wish. 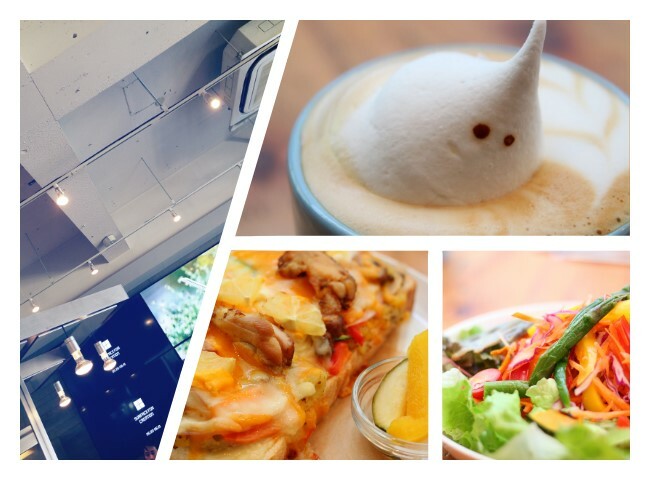 For the thinkers, the dreamers and the doers, there is a solution right in the heart of Shibuya: The FabCafe, an ultra-modern, digitally-savvy coffee joint/creative workspace as chic as it is high-tech. 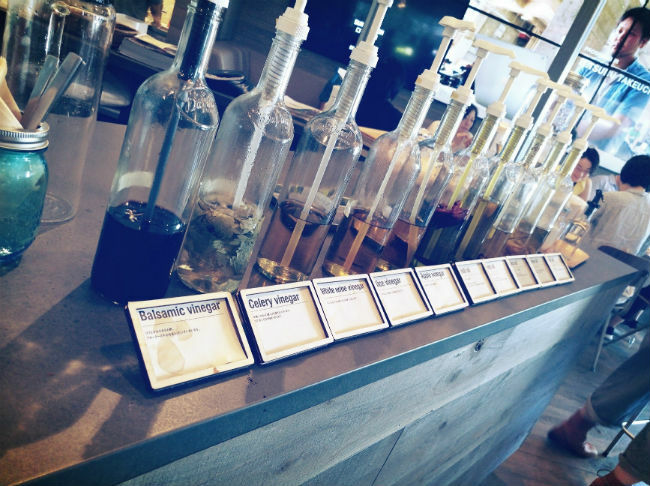 It’s no exaggeration to say that at this cafe, you can have your cake and create it, too! Read on to find out how. 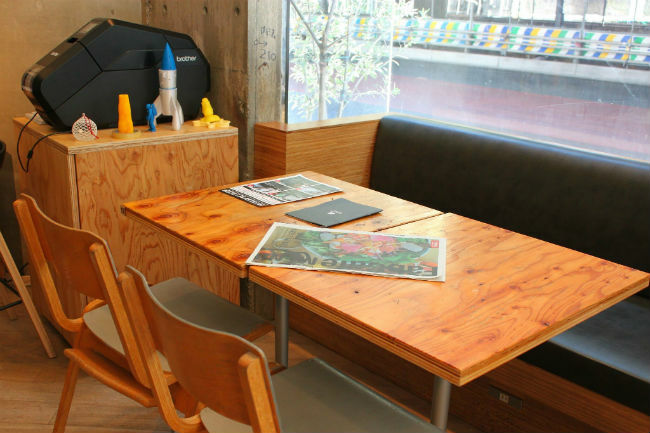 For pure innovation, this is one of the best cafes in Tokyo. 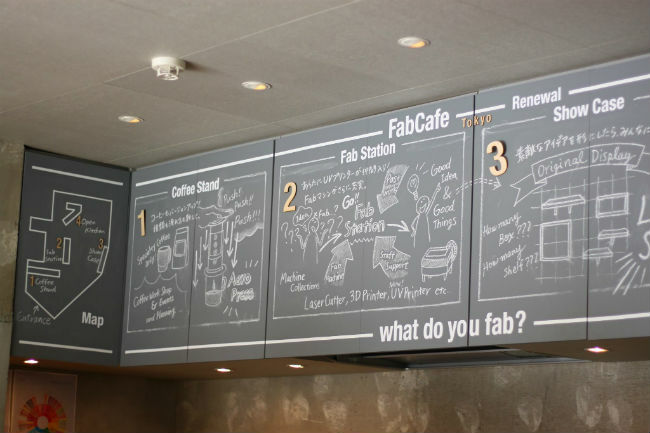 Inspired by the pioneering work of an MIT professor and first started in Japan before growing into a worldwide concept with six locations as of this article, the FabCafe hinges on two very important ideas, both contained within its name. 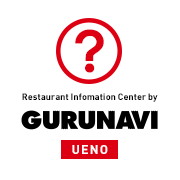 On one hand, it is a “fabulous” place where anyone can go to enjoy great coffee and food, a place to simply take in the atmosphere of creativity as you eat and chat. Tech-savvy Japanese, tourists hankering for free WiFi and long-term expatriates often drift inside, virtually ensuring that you’ll have somebody interesting to talk to there. 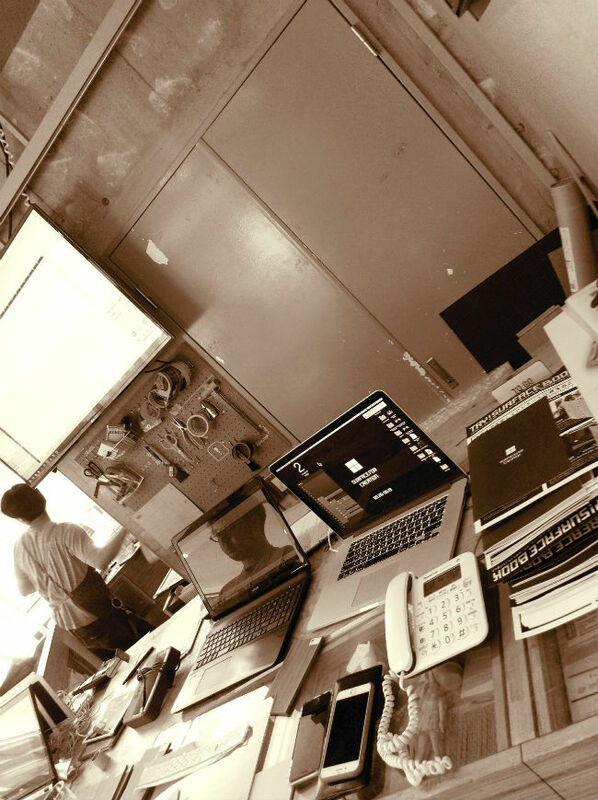 On the other hand, it is also a fun workspace where the designers, engineers, digital artists, and others with a technical bent can participate in the culture of “fabrication” (“fabbing”), giving shape to their desires using cutting-edge digital tools, all provided at the cafe itself. The cafe has some ideas for short-term projects that anybody can do on the fly, especially when it comes to food (see below). But the more serious creators are encouraged to bring their own projects—when we were there, there was even a research group with some kind of incubator, scribbling notes while sipping their lattes! There are also events, ranging from a smaller Fab Meetup to larger presentations and discussions, happening monthly. Whoever you are, you’ll find your creative spark at FabCafe! At FabCafe, the theme is digital creativity—every part of it seems designed not only to get your mental juices flowing, but to allow you to stay for as long as you need to! ...or just finding one of the more “ordinary” tables (which still, of course, looks just like a nicely-finished work table), there are plenty of places to sit and think. Of course, who said you have to just sit? Why not use some digital tools to make things happen? If you wander around a bit, you’ll see that there are a number of tools to help you realize your digital dreams, including a laser cutter, a laser printer, and a tape creator that allows you to go wild with sticky stuff—choose your own colors and designs. 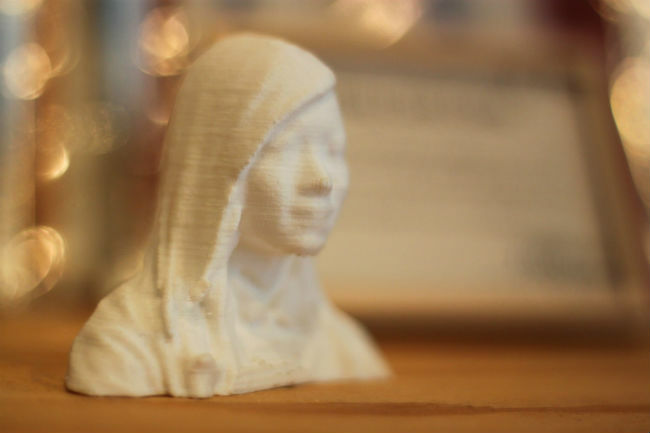 They say that two heads are better than one—you can make this a reality with their 3D printer, which allows you to print a tiny bust of yourself or your friends. 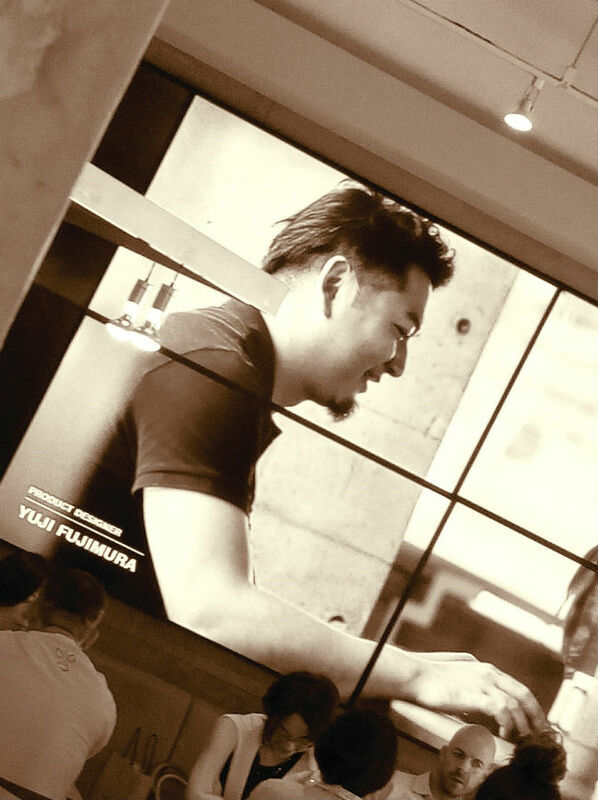 Just have the cafe staff scan your face and head, sit down with a cup of coffee and some food for 3 hours, and wait for your digital doppelgängerdoppelganger! 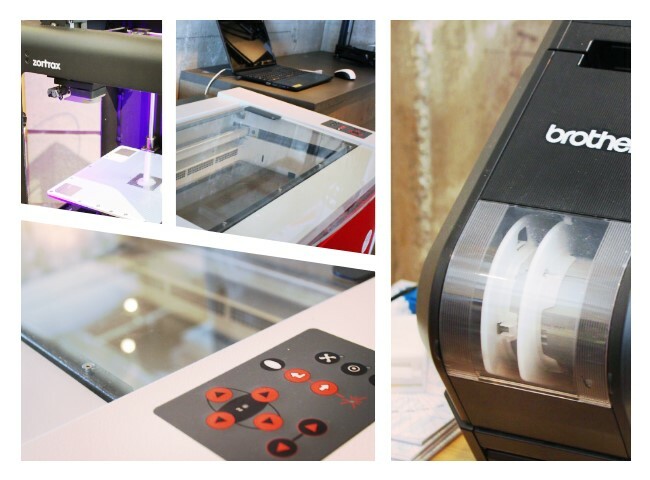 With a UV printer, you can make your mark on acrylics, wood, and leather. 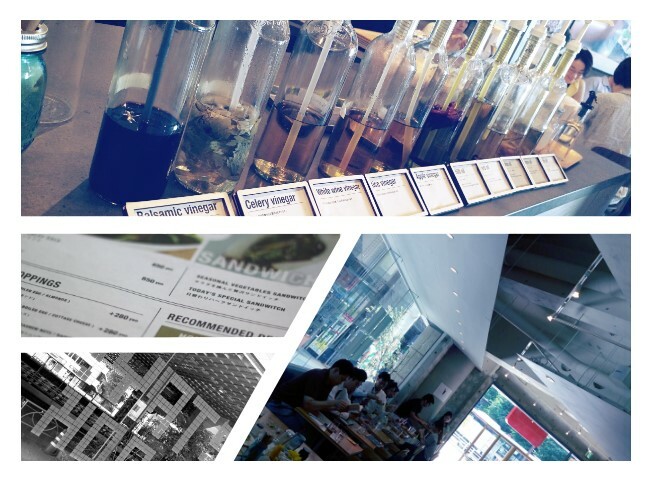 It’s the combination of analog and digital that makes everything in FabCafe so edgy. No more is this more true than with the food—read on to see how you can custom-design certain dishes or even use a laser cutter to make impressions on a certain dessert! 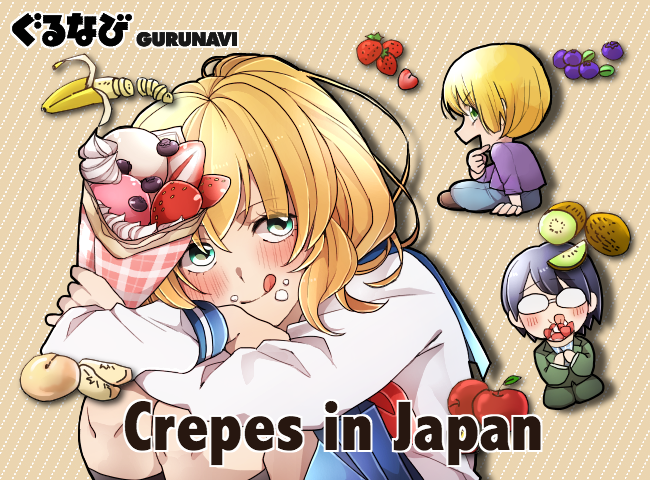 Because they understand that food is fuel for the creative fire, FabCafe’s menu (thankfully, in English and Japanese!) 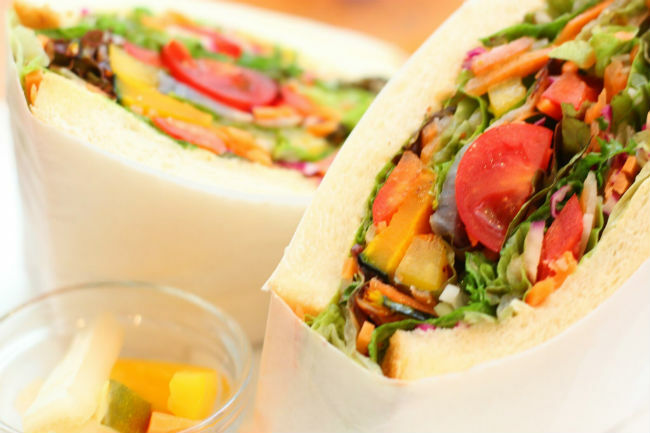 focuses heavily on farm-fresh salads and vegetables. 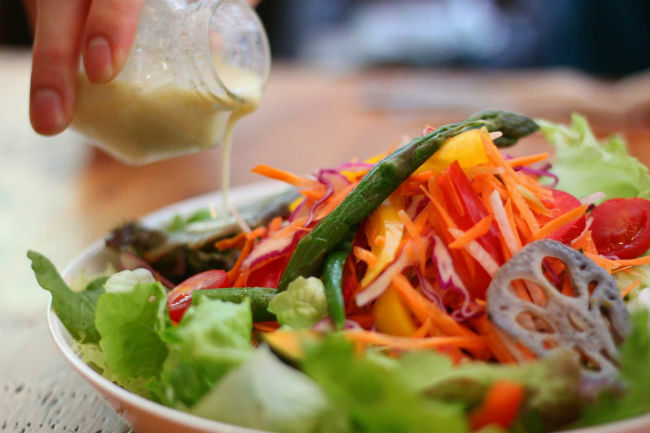 According to the staff, it’s not just that salad is healthy—you can also leave it out longer than with other foods, and it still tastes great when you bite into it after a few hours of hard work. 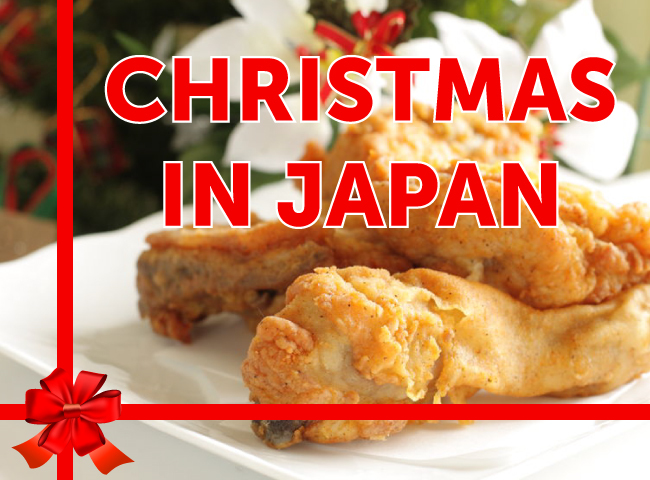 You just can’t do that at most other cafes in Tokyo. ...and then presented like fine wine! Ours had honey mustard and two different types of vinegar in it, and it was absolutely wonderful. 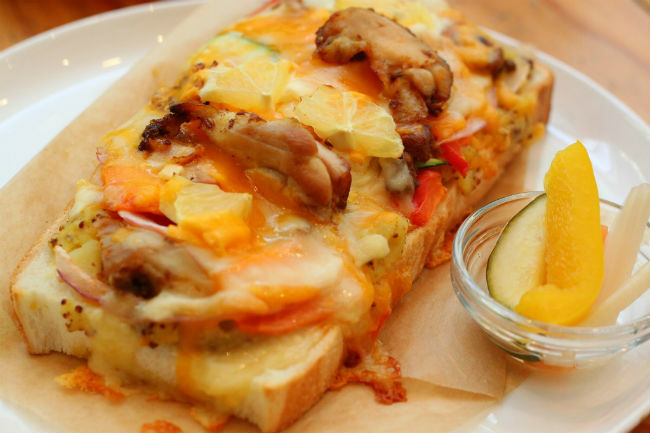 ...there are gorgeous open sandwiches smothered with generous helpings of cheese, bacon and chicken to name a few tasty possibilities. 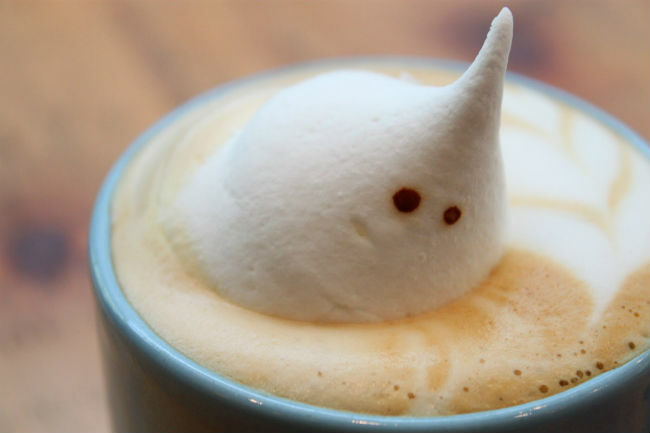 This little marshmallow-topped cafe latte was more than cute—he was also still great after a long photo session! 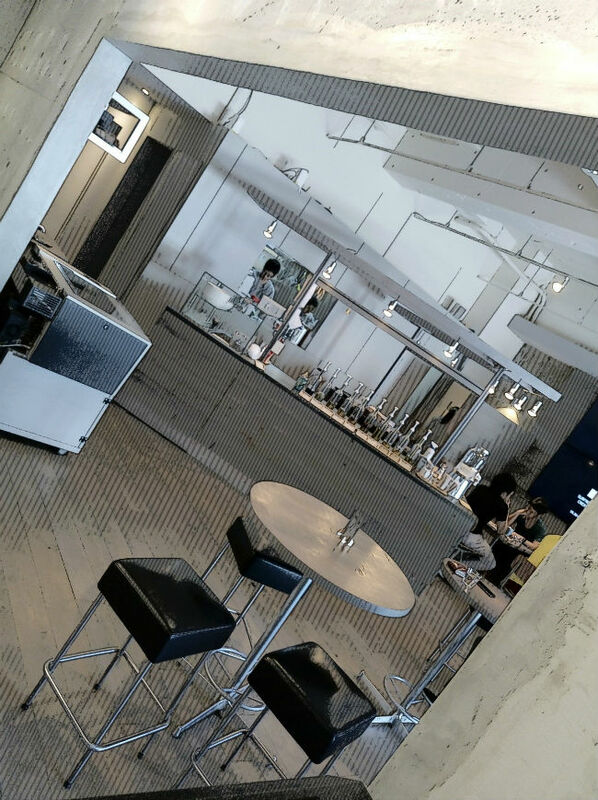 According to the staff, even the coffee is designed especially for people who want to sip on and off over the course of a long project. 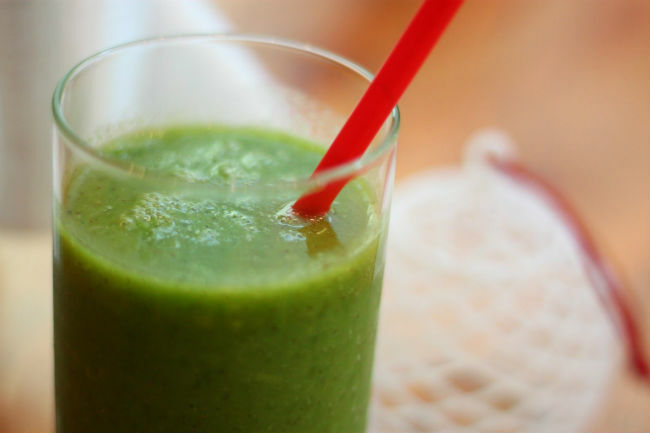 As for cold drinks, what better than a smoothie? The one we tried was a fabulous fusion of kiwi, lemon and a Japanese spinach variation called komatsuna. Tangy without being overly sweet, this cold drink was refreshing until the very last satisfied slurp. If you’ve got a bit of a sweet tooth, you may want to try one of FabCafe’s most popular dessert items: A macaron cookie with an image printed on it by a laser cutter! 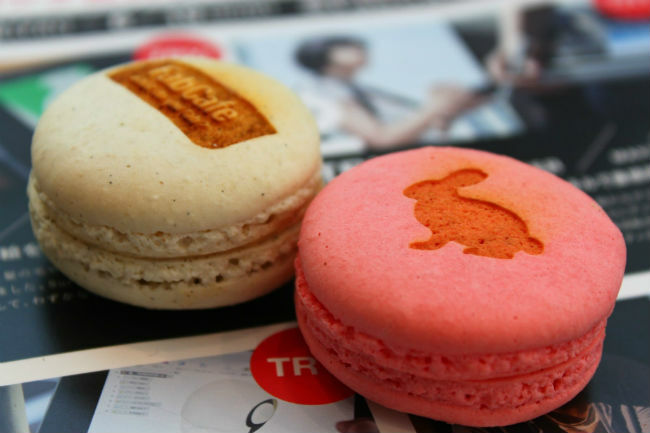 Fluffy rabbits are all the rage particularly with women, but everyone can have fun—just bring your data with you and customize your cookie in true FabCafe spirit! As you leave the café, why not go with something personal? You can print your favorite picture onto a puzzle or encase it in a photo block, creating great analog souvenirs for the digital age. 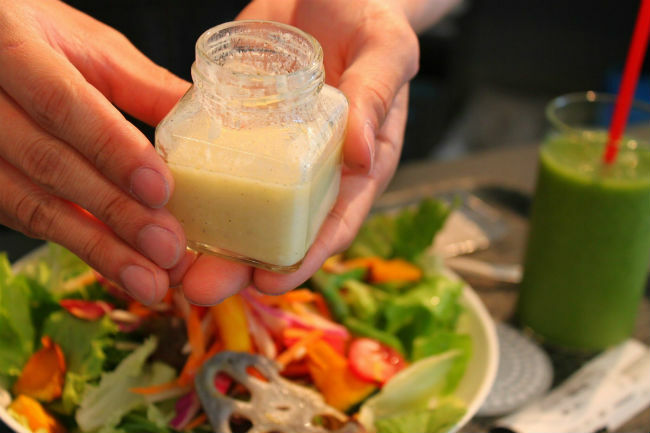 For those who don’t feel like making something from scratch to take home, FabCafe has plenty of ready-made options too. 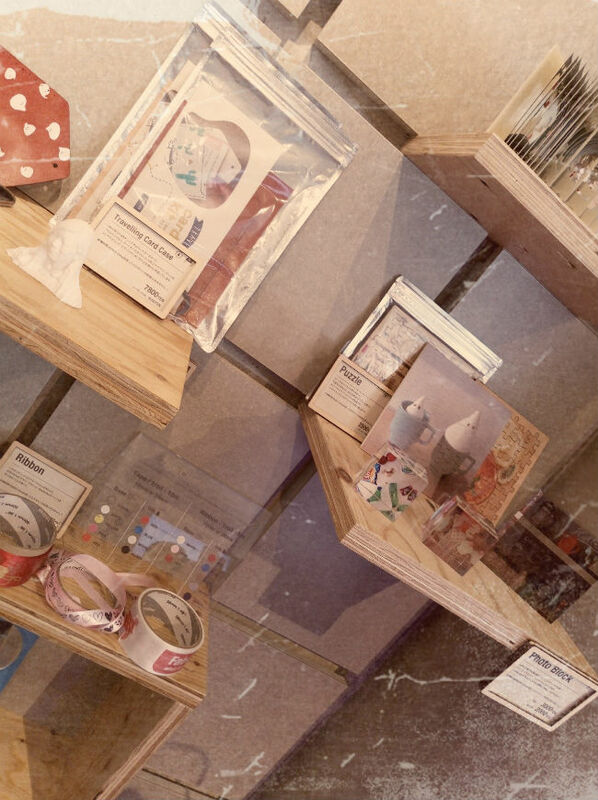 You can buy reams of unique tape and card cases among other cool and practical trinkets. The most popular souvenir (second only to the 3D scan of your head!) 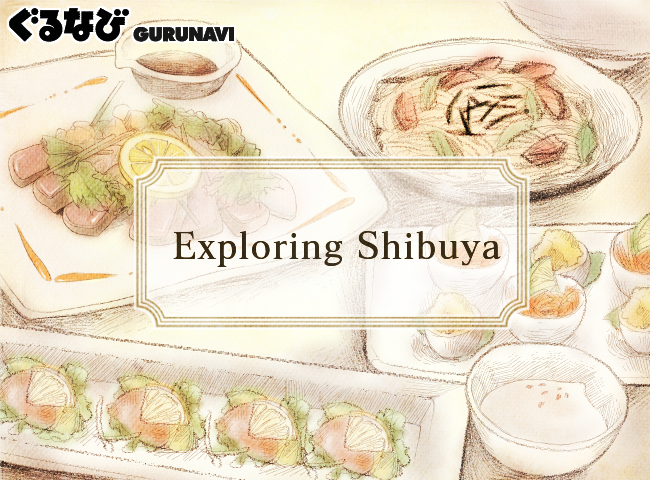 is probably this book showcasing Mount Fuji—just open it up and take in a 360-degree view of Japan’s iconic snow-capped mountain. 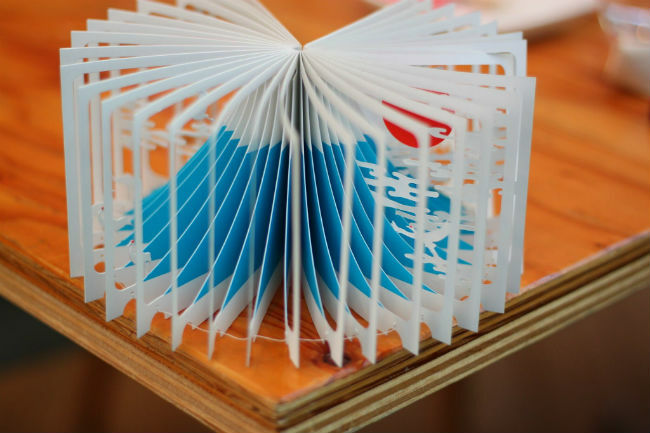 This little book uses awesome technology to show us something inspiring.